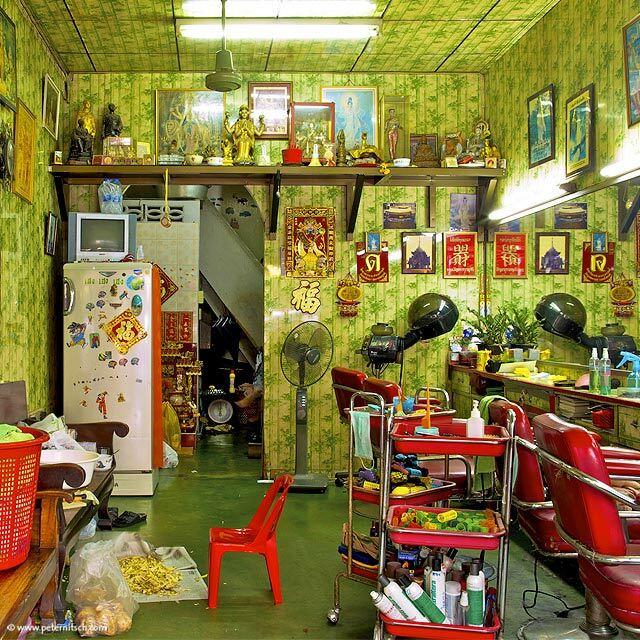 Peter Nitsch’s Bangkok Shophouses. – architectkidd co. ltd.
September 12, 2011: “There is much to learn from architecture before it became an expert’s art”. Bernard Rudofsky’s observations on architecture without architects come to mind when viewing the photographic work of our friend, Peter Nitsch. Peter is a designer and photographer based in Munich and Bangkok. 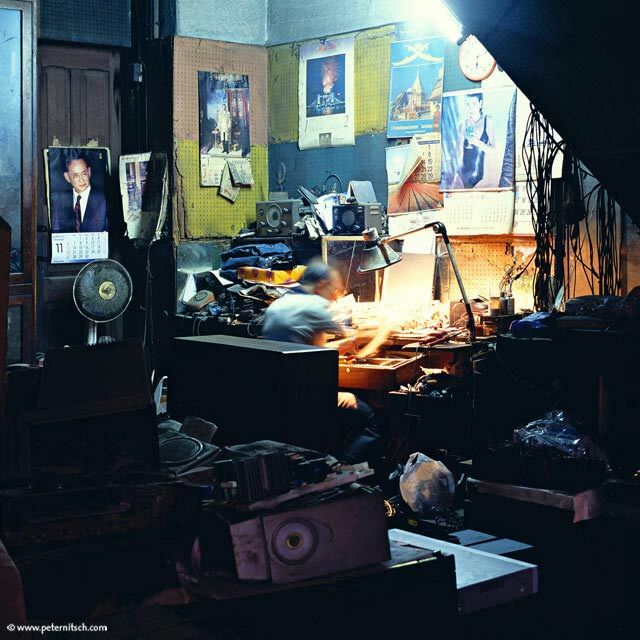 He has been fascinated by shop houses in Bangkok and by the way people inhabit these spaces. His explorations have resulted in a series of large-scale photographs that have been exhibited and recognized around the world. 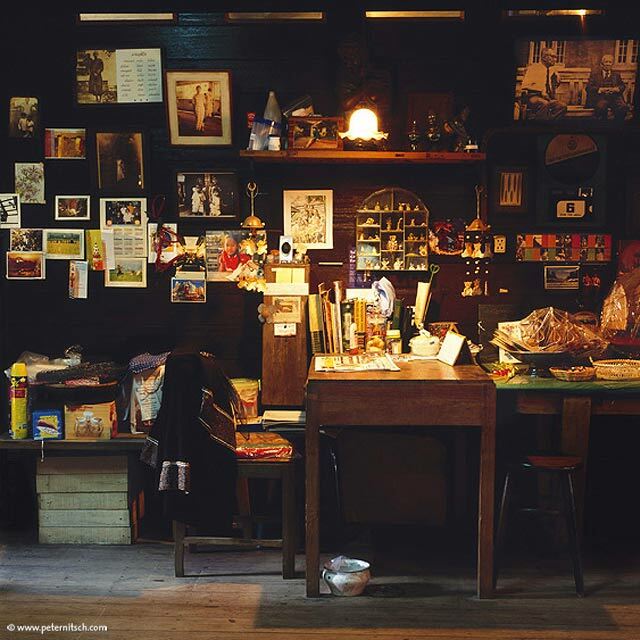 Viewing these photographs in the gallery has the effect of being immersed in the interior spaces themselves. The immense scale of Peter’s photographs allows for the inclusion of intricate details and objects that are often overlooked. Peter has now extended his work by incorporating the sense of time. Here is a preview of his new work titled “Hair Salon”, an 6-hour time-lapse of Chusri Sripengsub’s Beauty Salon on Phaeungnakorn Road. Architects and interior designers will appreciate the observations and insights shown in these urban still lifes. It reminds us that, even in everyday and modest circumstances, there is ingenuity and resourcefulness to be found. Photographs by Peter Nitsch. More information about his work here, here and here.